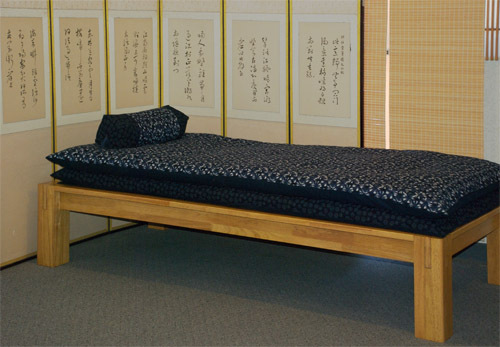 If you prefer something higher than the thickness of the tatami mat under your futon bed, a tatami platform may be the solution. 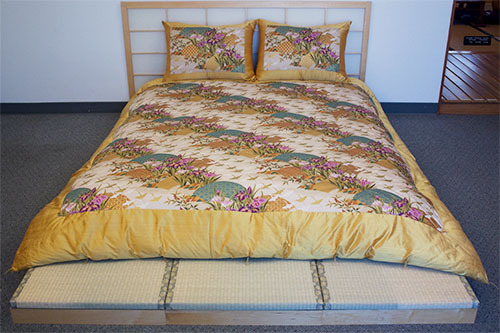 Our modular designed tatami platform pairs each our 24" by 48" mats with its own individual base. 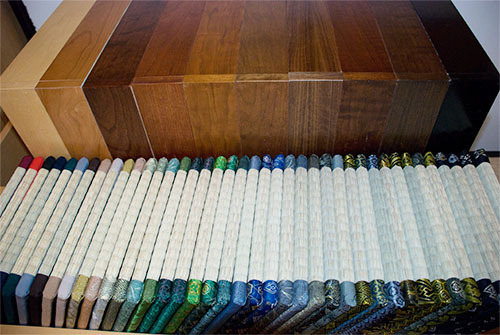 Bases are available in 3", 6", or 9" high, with or without drawers and in many wood colors. 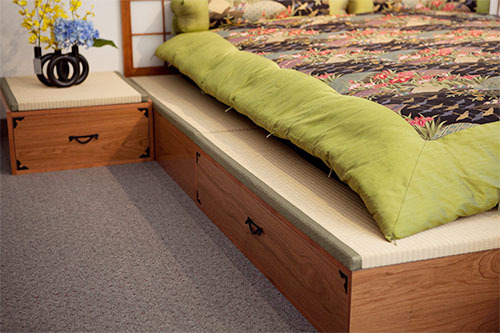 Customize your tatami platform by choosing from a selection of beautiful trims for the tatami border. 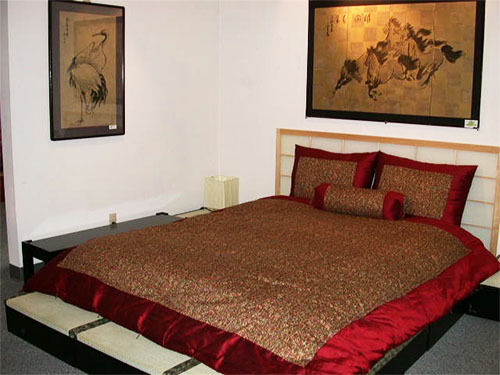 The tallest tatami platform is one we import directly from the manufacturer overseas. 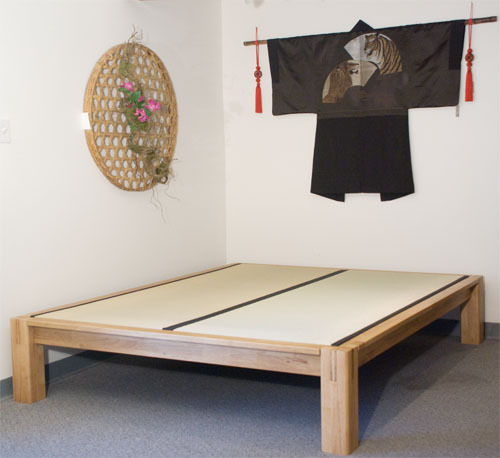 Made of solid wood, our "Four-Legged" tatami platform recesses 1 or 2 imported mats (depending on the size) with a 3" border of wood around all 4 sides. This platform is finished at 16" high and comes with optional drawer units if you need extra storage under the platform.